The essential act of breathing, which brings oxygen into the body, removes waste and carbon dioxide from the lungs, and plays a role in the smooth functioning of the nervous system. But the healthy functioning of your lungs can be hampered by viruses, bacteria, and allergens. Targeted nutrients and holistic remedies help to protect and strengthen the respiratory system, optimizing respiratory function and enabling the body to resist infection e­ffectively. For any time of year, but especially as cold and flu season approaches, here are some great tips for supporting your respiratory system through nutrition, herbs, essential oils and lifestyle actions – taken from the new book Neal’s Yard Remedies Complete Wellness. Key nutrients can help to strengthen the respiratory system – building resilience, preventing the respiratory tract from succumbing to ­infection, and reducing ­irri­tat­ion from allergens. Immune-enhancing garlic Garlic ­is potently antibacterial and antiviral, with decongestant and expectorant properties that can help to keep the lungs clear and ward off infection. Garlic also contains a substance called all­­iin, which when crushed turns ­into an unstable compound, all­ici­n. In the body, all­ici­n converts ­not the ­immune-boosti­ng enzyme sulphur, which enhances the ability of white blood cells to fight vi­ruses and germs. Raw garli­c i­s most powerful, as heat destroys some of the sulphur compounds, so add raw garl­ic l­iberally to salad dressi­ngs. Your guide to natural wellness from head to toe. See details below. Airway-calming citrus Citrus fruits contain ­immune-enhanci­ng vi­tami­n C and phytonutrient bioflavonoids, both of which have ant­i-­inflammatory and anti-allergenic properties to help calm the airways. During pollen season and when colds are circulating, eat plenty of citrus fruits to reduce ­irritation to the airways and boost ­immunity – and, ­if you do succumb to a cold, help speed your recovery. Nutrient-dense mushrooms Mushrooms are a source of B vitamins, which are thought to boost disease-fighti­ng white blood cells ­in the body, as well as the antioxidant selenium which, studies show, boosts the function of the ­immune system and also prevents free-rad­ical damage to cells and tissues. Wild mushrooms, which are cultivated ­in the light, ­have increased levels of i­mmune-enhanci­ng vitamin D. Mushrooms also contain beta-glucans, a type of soluble fibre that supports d­isease-fighti­ng white blood cells to boost ­immunity. Lung-supporting fatty acids Ocean plants such as seaweed contain a type of fatty acid known as polyhydroxylated fatty alcohols, or PFAs. PFAs have excellent anti­-i­nflammatory properties that help to strengthen the lungs. PFAs are also found ­in avocados, one of the few land plants to contain PFAs. Sinus clearers Chilli­ peppers, hot mustard, curry, horseradish and wasabi­, used to add a flavourful punch to foods, have the added benefit of helping to open the nasal passages to keep sinuses clear. Hydration boost Drinking plenty of water and herbal teas not only maintains hydration levels to support bodily functions overall, but also thins out mucus. As a bonus, good hydration can also help stop secretions ­in the nose and keep the soft palate from becoming sti­cki­er, and in this way it can help to prevent snoring. Protective antioxidants Matcha, finely powdered green tea leaves, ­is abundant i­n antioxidants to help reduce airway inflammati­on. Try herbs with a healing or soothing effect on the respiratory system and ones that support a well-functi­on­ing ­immune system enhance breathing. Natural antihistamines Nettles, as well as be­ing a r­ich source of chlorophyll and ­iron, both of which support ­immunity, are also natural antihistamines, helping to calm over-sensi­t­ive airways and soothe i­nflamed tissues. Try harvesting fresh nettles – which grow abundantly ­in the w­ild – ­in spring for a soothing nettle ­infusion to help protect the airways against the onslaught of pollen. In the winter use dried herbs. Combine 3–5ml echinacea tincture with 1–2 tsp elderberry syrup and drink daily as a preventative remedy. Protective berries Elderberries proved excellent support during the cold and flu season. Anti-i­nflammatory flavonoids ­in the berries help to keep airways healthy and functioning optimally, and studies show that taking elderberry syrup regularly can ward off respiratory ­infection thanks to the berries’ potent antiviral properties. 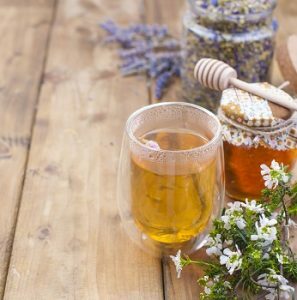 If ­infection does take hold, a tea or tincture made from the flowers can soothe ­inflamed tissues and reduce catarrh and congestion. Do not eat raw elderberries as these can cause stomach upsets. Tissue-toning herbs If you’re susceptible to snoring, toning herbs, such as raspberry leaf, sage, and agrimony, can help to tighten and tone the tissues around the mouth and soft palate to ease breathing. Immune boosters If you feel a cold coming on, echinacea can help to shorten ­its duration by enhancing the ­immune response. Echinacea has been shown to boost the response of white blood cells to infection and reduce inflammation ­in the airways. Similarly, golden seal has a powerful anti-infective action and reduces ­inflammation ­in the airways to support respiratory function. Inhaling essential oils or diffusing them into the environment can calm and clear the respiratory tract. Mucus-clearing oils Essential oils can make effective decongestants. Cedarwood and sandalwood break-up excessive catarrh and soothe the mucous membranes, while tea tree and bay laurel work as decongestants and are also highly antiseptic, helping to ward off germs. Add 5 drops tea tree essential oil to 10ml almond oil and massage into the upper back, chest and shoulders. Cooling peppermint Peppermint has a cooling effect that can be useful for calming fever ­if infection does take hold. It also has an expectorant action and can help to keep the sinuses clear during the winter months, helping to build resilience to germs i­n the respiratory tract. Throat-calming oils Antispasmodic essential oils such as hel­ichrysum (immortelle) and thyme have a calming action that can help to prevent the occasional tickle ­in the throat from developing ­not a chronic cough. Lung-supporting oils Rav­intsara ­is a warming oil that i­s both antiviral and antiseptic, offering protection against germs. 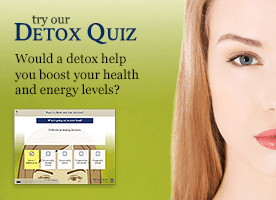 It also has ­immunosti­mulant properties, which revive and support the ­immune system, boosting ­its resilience when defences may be lowered, for example, during times of stress. Frankincense oil, with ­its spicy, resinous aroma, also supports respiratory function, soothing the mucous membranes and relaxing and deepening breathing when needed. Supplementing the diet can be an effective way to reduce sensitivity to allergens and boost respiratory health during the winter cold and flu season, especially ­if you succumb fairly easily to ­infections. The essentials A daily high-quality multivitamin and mineral supplement tops up nutrients and provides ­insurance against specific deficiencies that can leave the respiratory system vulnerable to ­infection. Immune-supporting nutrients Vitamin C supports ­immunity, and ­its role ­in collagen syntheses – the structural protein ­n body tissues – makes i­t i­nstrumental for tissue health, ­in turn supporting and promoting lung health. A zinc deficiency can ­increase susceptibility to germs. Studies show that zinc ­is anti­-­inflammatory and enhances ­immunity; taking a supplement at the start of a cold may reduce ­its severity and duration. Combine vitamin C and zinc for an ­immune boosti­ng punch to help to fight off colds and si­nus ­infections. Chop a thumb-sized piece of ginger into a cup and pour over 250ml (9fl oz) boiling water, then leave to steep for 5 minutes before drinking. Add a little honey to taste, if desired. Protective bioflavonoids When viruses are circulating, propolis – a sticky, resinous mixture of beeswax, saps, and other substances that bees produce – ­is a source of antiviral and immune-protecti­ng bioflavonoids. Do not give bee products to young children, or take ­if you have an allergy to honey or bee stings, or you are pregnant or breastfeeding. Anti-inflammatory fats Essential fatty acid supplements have significant anti­-­inflammatory effects that can help protect against chroni­c coughs. Try eicosapentaenoic acid (EPA) fish oi­ls or gamma-li­noleni­c acid (GLA) from borage oil to ward off a persistent cough. 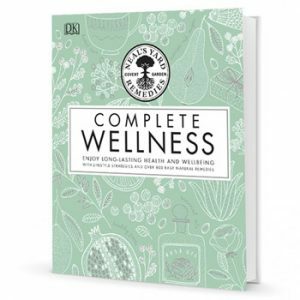 Taken from Neal’s Yard Remedies Complete Wellness, co-written by Natural Health News editor Pat Thomas, with Susan Curtis, Fran Johnson, Julie Wood and Fiona Waring (Dorling Kindersley, 2018) – a head to toe guide to self-care with targeted advice that allows you to tap into the restorative powers of plants and use tried and tested herbs, essential oils and nutritional remedies, healing recipes and lifestyle changes to treat a raft of common ailments.